In a bid to cool down Canada’s surging housing market, which has seen real estate prices reach unprecedented heights (up to double in high-volume areas like Toronto and Vancouver), the federal government has announced increases to the rates of bank-funded mortgages – a move that analysts said could be mimicked by major lenders. Industry observers agreed that a chain reaction of increases would be understandable – indeed, inevitable – as banks would attempt to maintain solvency amid a backdrop of recession. “Banks are paying more money for debt than they have in the past,” Bank of Montreal debt analyst Kris Somers said in an interview by the Financial Post. 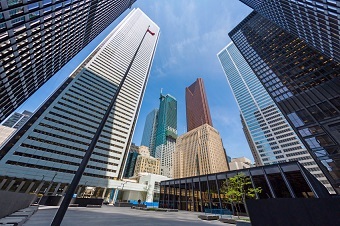 “Given the Canadian banks are a play on the Canadian economy, a slowdown in the economy can’t really be seen as positive for the banks,” Somers added. Experts said that the mortgage rate hikes effective this week, spurred in part by a beleaguered economy and a struggling petro-currency, would entail greater expense on the part of the banks. “We’ve started to see cracks in credit and we know that’s probably going to continue to intensify. If it continues, the same logic that caused the banks to raise will continue to apply,” Cormark Securities financial analyst Meny Grauman tolf the Financial Post. Rates on five-year fixed mortgages at the Royal Bank of Canada would be set to 3.04 per cent today (January 8), up from 2.94 per cent. Five-year variable rates, on the other hand, would increase to 2.6 per cent, up from 2.45 per cent.